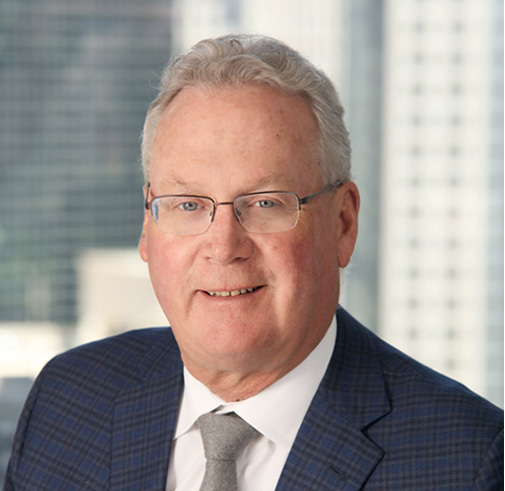 James Martell - Logistics Property Co.
Jim serves as CEO where he is responsible for the overall strategic direction, planning and performance across North America. Jim has 43 years of experience in all aspects of commercial real estate including leasing, management, acquisition, development, construction, financing, and disposition. Over the course of his career, Jim has been involved in office, retail, multi-family and industrial development throughout North America. Since 1995 he has completed several billion-dollar development projects. Jim began his real estate career as a commercial real estate lender and then worked for a regional general contractor for nine years. Moving to Chicago in 1986, Jim joined the Shearson Lehman Brother’s Balcor Company as a portfolio manager ($9.0 billion in NAV). Following Balcor, he worked for the Prime Group until he formed Ridge in 1995. In 2003, Ridge formed several REITs with Prudential Real Estate Company. Selling the assets of the Pru Ridge REITs in 2014, Ridge formed Ridge Development Company, LLC (Ridge) with Transwestern. In 2017, Ridge wrapped up its joint venture with Transwestern and formed Logistics Property Company, LLC (LPC) with Macquarie Capital Real Estate Investments (MREI). Jim serves on the Barrington Bank & Trust Company, N.A. Board of Directors. Jim received a Bachelor of Arts, University of Wisconsin, Madison, WI and Master of Arts, University of Chicago, Chicago, IL.